Is this the ‘Facebook-ification’ of LinkedIn? Is this really what LinkedIn users want? 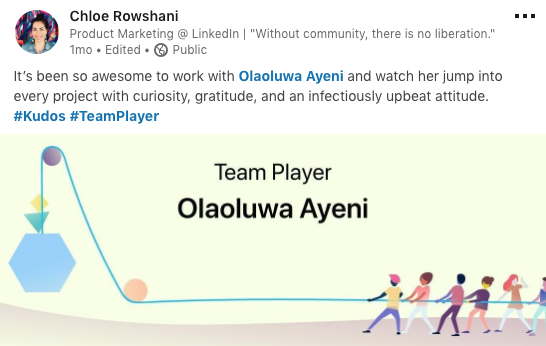 These are the questions that come to mind as I look at LinkedIn’s latest addition, called ‘LinkedIn Kudos’, which enables you to share a graphic in praise of a connection. I mean, definitely giving thanks is key, acknowledging the role others play in your successes – and LinkedIn, being the professional social network, is a great place to do so, in front of both colleagues and industry peers. But do you need a graphic to do so? This is sort of along the same lines as another recent platform addition – stickers for LinkedIn video. Such options fit on other platforms, where you’re looking to share funny, entertaining posts with friends and family – but do they work in a more buttoned-down environment? Do they help you put your best foot forward, professionally, and establish better industry reputation? LinkedIn obviously has the data on this, and they wouldn’t be rolling the tool out for no reason. But it feels a little off – much like the auto-generated birthday recommendations or ‘Congratulations’ messages for job anniversaries. If the sentiment is genuine, it’s appreciated, but if it’s just because LinkedIn has prompted you to do it, and that’s clear from the auto-generated message, it feels a little pointless. 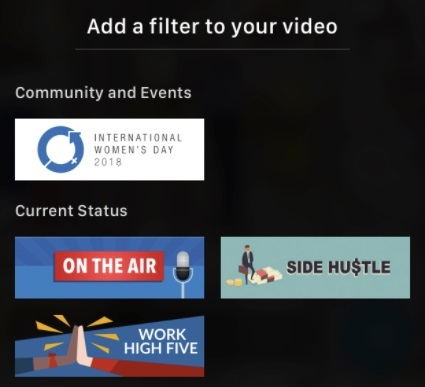 Maybe that will make these new additions different – the messages are not auto-generated, you have to populate them with your input, and the images will help make such praise stand out in feeds. Maybe that’s a good thing. I guess we’ll find out. Open your LinkedIn app on iOS or Android and tap on the ribbon icon in the share box at the top of your feed. Select a connection or multiple people to send kudos to teams big or small. Post to share the kudos to your LinkedIn Feed and the person you recognized will receive a notification letting them know that you gave them a shout-out, in addition to seeing it in their feed. LinkedIn Kudos is being rolled out now for all iOS users of the LinkedIn app and coming soon to Android and desktop.